Not all brides dream of wearing classic red-coloured lehengas on their wedding day. 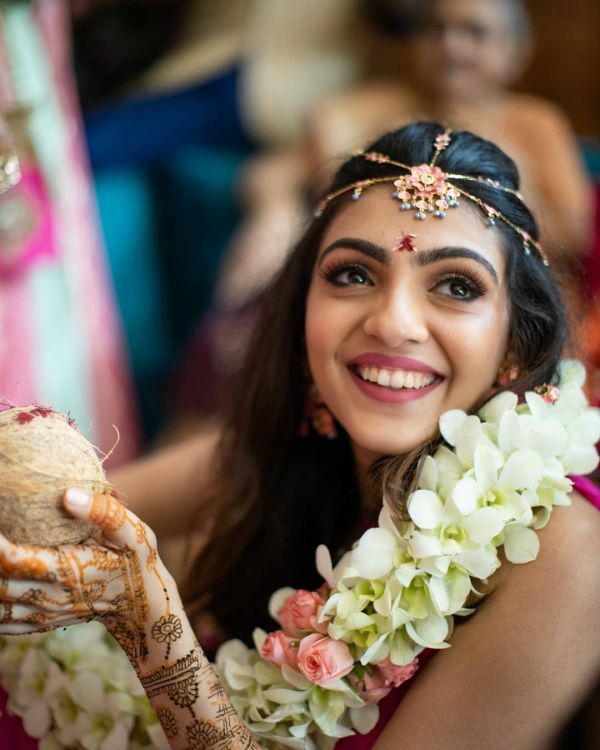 Although red is traditionally considered an auspicious colour, a lot of young brides have moved away from wearing the shade. They're currently all about pastel hues! 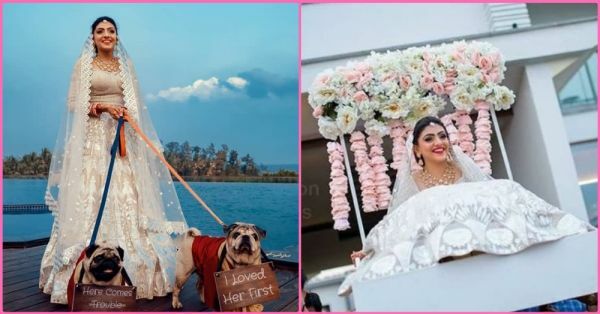 But this Indian bride decided to defy all the rules and chose to go all white on her wedding. 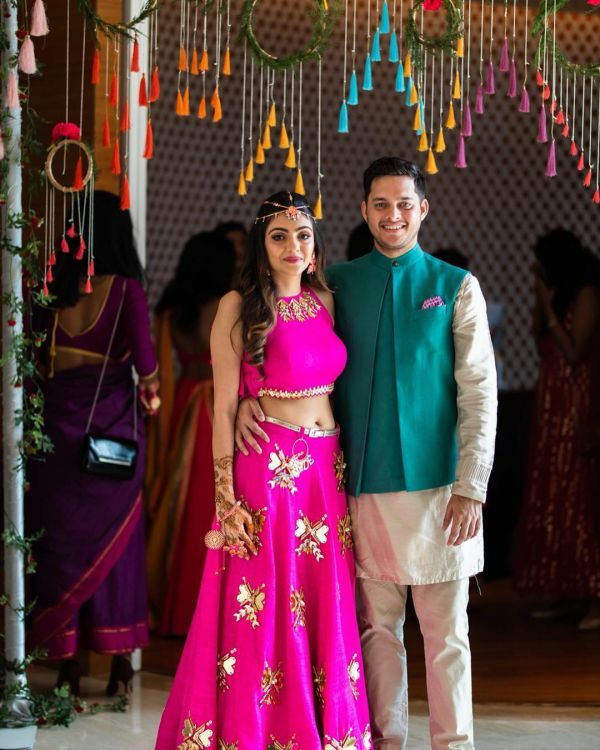 Saloni Shah looked like a vision in a beautiful snow-white lehenga. 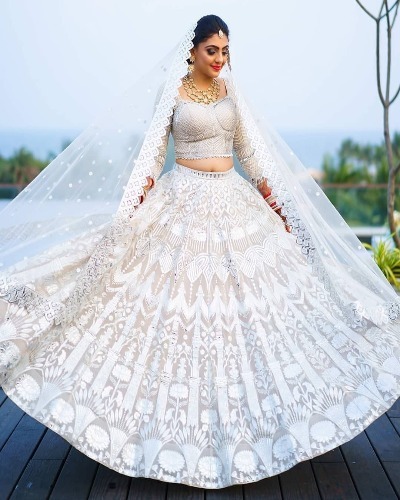 Saloni did not try to quirk it up by pairing her white Falguni Shane Peacock lehenga with a dupatta or jewels in a contrasting colour. She kept it simple and looked dreamy! For the makeup look, she went with smokey eyes and a bright red lip shade that added a pop to the whole ensemble. The groom complemented the bride in a subtle pink silk sherwani. Don't they look adorable together? 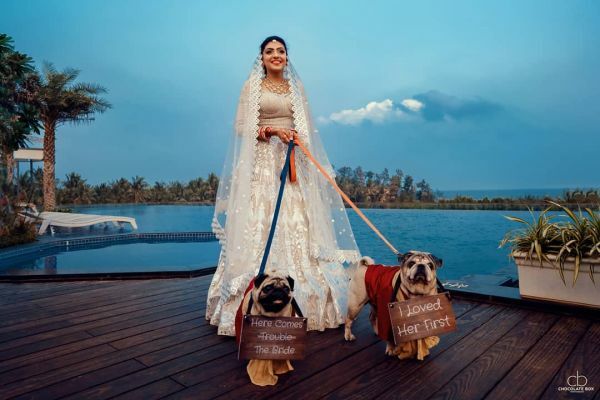 How cute is the bride looking striking a pose with her adorable dogs? 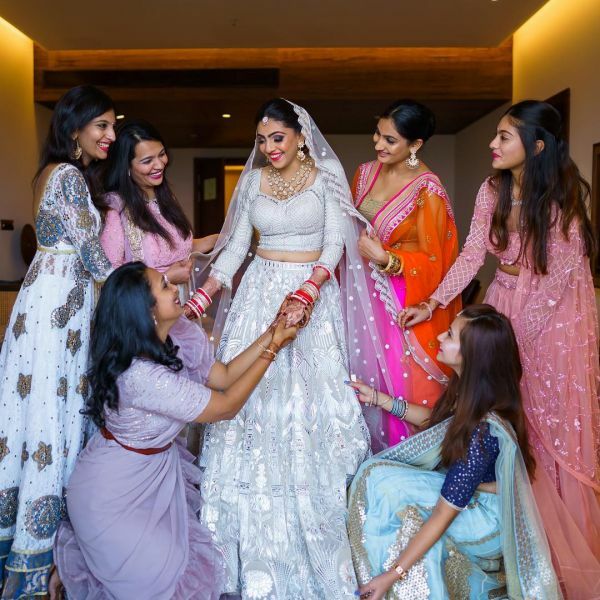 Every bride is incomplete without her favourite squad! Isn't this exactly what a grand entry looks like? The bride looks like a real-life princess! Check out that bright pink lehenga and the statement headgear! 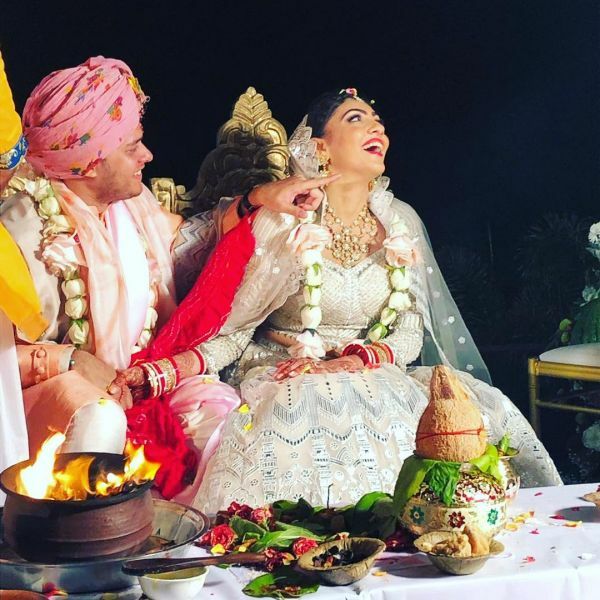 A lot of brides these days are ditching pinks and reds for a dreamy white lehenga, and by the looks of it, they're definitely slaying it. A white lehenga looks austere, elegant and makes the bride stand out.